Admittedly, the weather outside is a poor reflection of spring. 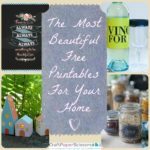 For us DIY-ers, though, that’s not enough to keep us from enjoying spring crafts. What better way to kick-off the season of rebirth and fresh beginnings than by spring cleaning? You don’t have to drown your dumpster in all of your junk. Instead, put it to use with some simple spring crafts. 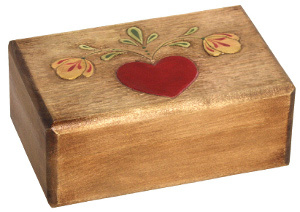 In this DIY gift box, you’ll find a project that you’ll love adding to your paper craft ideas. 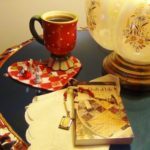 Read on to find out how to make DIY gift boxes that take care of your mess in a fun and crafty way. In case you’ve forgotten already, it’s spring! You know what that means? It means that it’s time to go through your craft closet and get cleaning. Assuming you’re like most crafters and hoard a lot of everyday materials, you have a lot of empty matchboxes around the house. Face it: you don’t need them. You can, however, revamp and pay them forward to someone else with these enchanting DIY gift boxes. 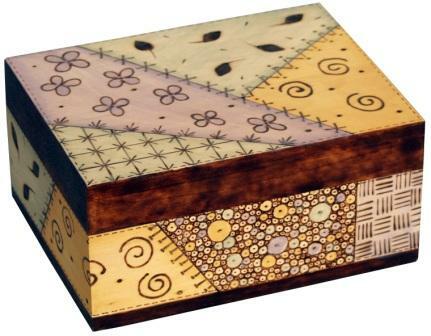 To complete these springy DIY gift boxes, makes sure you have your matchboxes and some patterned paper. These are your key players in this spring craft. Your creativity should step in when it comes to decorating these divine containers. Use whatever collage materials you have to gussy-up your matchboxes. If you’re willing to share, get the kids involved too! 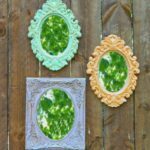 There’s nothing better than spring crafts for kids that eventually clean up the house. 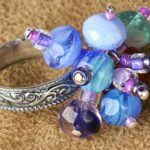 This project is nothing short of a Cinderella story, transforming the ragtag items lying around into bonnie spring gift boxes. Do you have a spring cleaning craft of choice? FaveCrafts 365 Hexagon Box Challenge! SeaLife! As artists, crafters, and creative types, we can take a few liberties, and today mine is using a capitol “L” for SeaLife. The idea behind this box came from Jumasto who suggested an aquarium motif. That’s right up my alley, since I have a huge salt water aquarium for my shark, Joy. Plus I love snorkeling, scuba diving, paddle boarding, and anything to do with the oceans. My husband and I often walk the beach looking for seeds, sea glass, and shells. We see a ton of seaweed too! Thus, I had a great time recreating some seaweed for this box using one of my favorite supplies… yarn! I hope you enjoy my last box in this challenge. Thank you so much, Jumasto! I had a blast making the boxes. I hope to have another box challenge soon! Right now I’m Sizzix-less after giving my beloved Sizzix machine to my friend, Sheryl Bordon, the host of Creative Living on PBS. But as soon as I can find one of those amazing Sizzix Vagabonds, I’ll be back in business!!! To see the original FaveCrafts 365 Hexagon Box Challenge click here. To see Maria’s little reminder video click here. For written instructions for this project click here. FaveCrafts 365 is your daily v-log report from FaveCrafts.com. 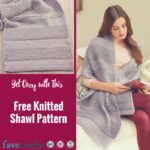 We’ll keep you up to date on everything going on from new projects posted, giveaways, product reviews, and more with FaveCrafts.com Resident Craft Expert and In-House Designer, Maria Nerius. Let us know what you want to know! FaveCrafts 365 Hexagon Box Challenge! Flowers and Butterflies! This was the easiest box for me to create, and I think it’s because I just happen to know Gina Badeaux as she’s a dear friend I met on Facebook. Gina is a very talented painter and artist who has shared some of her talent with me by sending me ATCs (Artist Trading Cards) for the FaveCrafts.com upcoming appearance on Creative Living, a wonderful TV show on PBS. From her art I learned she loves flowers, butterflies, and soft touches. I went girly for her! Thank you Gina for all your support and for being a loyal FaveCrafts 365 viewer! FaveCrafts 365 Hexagon Box Challenge! Surprise Pin Cushion! Another box created for our Hexagon Box Challenge! This idea came from Debbi. 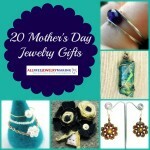 She loves to craft, and she always keeps organization in mind, so many of her crafts are organizational in nature. With organization in mind and also the fact that I seem to misplace my pins and needles all the time, I made this box a surprise pin cushion! My mother-in-law, Elizabeth, grabbed this box almost as soon as it was made. She collects boxes and just loved this one. It is now in her entryway table! Thank you, Debbi! FaveCrafts 365 Hexagon Box Challenge! Bee’s Knees Box! This is the second box created from our Hexagon Box Challenge. Sue D. is a bee keeper and suggested that bees might be a great motif for the hexagon box which reminded her of a honeycomb! What a great idea! I would never have thought of it as a hexagon–they always remind me of stop signs. Creating with others is one of the best ways to really stretch your skills and ideas. I love brainstorming with other crafters. I always learn so much. Thank you, Sue! I threw out a challenge for help to create with a plain hexagon box, then I got a little behind my deadlines and was gently reminded I had some work to do. Here is the first creation from that challenge! Watch the video to see step-by-step how-to or read below. I explain how I got a little sidetracked when I couldn’t find rick-rack to use. Plus there is a bonus video clip where I explain how to locate a hard-to-find material or supply! Many thanks to Darby for suggesting an idea to create with this hexagon box. She had lots of great ideas and the zig-zag of rick-rack was my inspiration. 1. Die cut the hexagon box, fold on scores, fold into box, adhere all connecting flaps (not that this box has 3 flaps that are inserted into the box at top to close, do not glue these flaps. Allow to dry. 2. Tie ribbon or loop wire around clip of dog collar charm. Trim to 1″. Place raw end of ribbon or wire inside of box at front top flap. Apply glue just under this flap, inside of box, fold flap down. This holds the dog collar charm to front of box. 3. 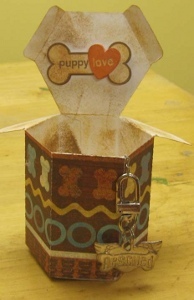 Place sticker, Puppy Love, to inside of box top. Using an artist sponge dab the Distressed Inks all over the inside of box starting with the lightest hue of ink and finishing with the darkest. This is an optional step. The paper I selected to make this box had an antique look and feel. I used the Distressed Inks to coordinate this inside rather than leaving it stark white. 4. Fill with dog treats, a pretty dog collar or other surprise for your furry friend! FaveCrafts 365 Where Are Those Hexagon Boxes??? 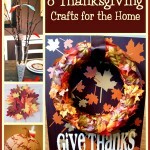 During my January 11, 2011 FaveCrafts 365 video report I threw out a challenge! I showed a cute plain paper hexagon box and asked for ideas to create something unique. Well, I did say I’d have it done in two weeks and that would have been January 25, 2011. Hmmmm….looks like I didn’t make my deadline. Normally, I would be upset by missing a deadline, but YOU noticed! I can’t be anything but happy that several of you have been watching and waiting and I’m so proud! That means that FaveCrafts 365 is becoming a part of more and more people’s daily routine. Let’s all have a party!!! Okay, party has to wait! I’ve got to get these 4 boxes done! Watch the video to see the great ideas I was given! I can’t wait to get started! See the original FaveCrafts 365 Challenge by clicking HERE. FaveCrafts.com 365 Sizzix Hexagon Box Challenge! We love challenges at FaveCrafts.com. 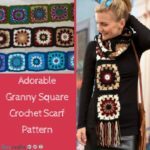 We might need to figure out how to get more FaveCrafts.com designers or it might be an e-newsletter that has to be polished, no matter what the challenge we are up for it! How about you? Do you like a challenge? I’ve got a creative challenge for you. Just watch the video and give me your ideas on what kind of theme, motif, or style of embellishment you’d use. What should we put in the box? Is the box a gift or birthday party keepsake? Just leave your ideas in the comments! Then on March 1, 2011 I will show you what was created using your ideas! Then we’ll pick one for a giveaway! Are you up to the challenge?